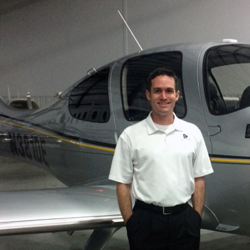 Zac was born and raised in Tulsa, Oklahoma and has been flying out of Riverside airport for 20 years. He passed the airport every day on his way to Jenks High School in the late 90’s, which constantly reminded him of his passion for aviation. He has ASEL/AMEL instrument commercial certificates in addition to the CFI/CFII certificate/rating and has been a CFI for 7 years. Prior to his employment with Destinations, he was a free-lance instructor and instructor at Spartan College. 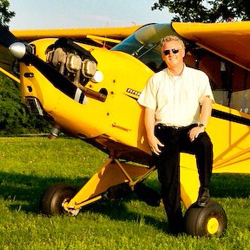 He loves the adventure aviation provides, and the focus and skill it demands. When not at the airport he enjoys spending time with his wife, Ashley, and their daughter Adeline. Destinations Executive Flight Center trains competent, confident pilots. 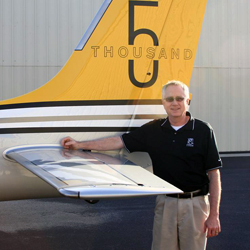 Located in Tulsa , Oklahoma , on Richard L. Jones Airport – “Riverside” (KRVS), we provide accelerated Private and Instrument ground schools, as well as flight training in a full fleet of aircraft, and FAA Approved full-motion AATD flight simulators emphasizing emergency procedures, crosswind landings training, and instrument training on Garmin Perspective, G1000, 530, 430, as well as 6 pack steam gauges. Destinations specializes in Cirrus Aircraft, but whether you fly Cirrus, Beechcraft, Cessna, Piper or Mooney, our flight instructors are ready to assist you in your flight instruction. Begin your flying lessons now and learn how to fly! Contact a Flight instructor today for your Private Pilot License, Instrument Rating, & Multi Engine Rating. All can happen more efficiently at Destinations utilizing the Redbird Simulators and Scenario Based Training.